Three decades ago this summer, a hard-throwing New York Mets pitcher put together one of the most phenomenal seasons in baseball history. And he was only 20 years old. Just two years prior, in 1983, Dwight Gooden had racked up 300 strikeouts in 191 innings with the Class A Lynchburg Mets, while winning 19 games. Then, in September, he was promoted to the Tidewater Tides for their postseason. He pitched another 29 innings with 19 Ks, including a brilliant four-hitter against the Denver Bears in which he went the distance for a 4-2 win. Mets General Manager Frank Cashen was hesitant. He felt the organization had rushed former blue-chip prospect Tim Leary, with disappointing results. He didn’t want history to repeat itself with Gooden. Gooden made the big league club after a solid spring. Johnson, the new Mets skipper, turned out to be a prophet. The kid from Tampa indeed became his number one starter. Gooden’s 17 wins and 276 strikeouts in 218 innings earned him the National League’s Rookie of the Year Award in 1984. But it was only a prelude to what he would accomplish the next season. Gooden started New York’s home opener on April 9, 1985. He was solid, surrendering three earned runs in six innings to St. Louis in a contest the Mets eventually won in extra innings. 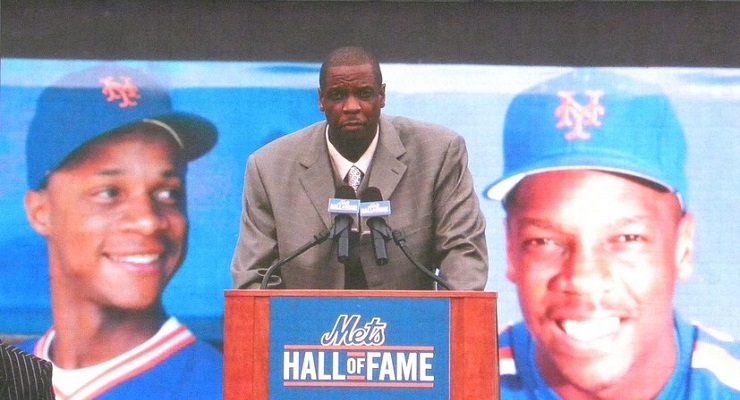 On April 14, Gooden faced Cincinnati at Shea Stadium, in his second outing of the year. Initially, the big story was that it was the 44th birthday of Reds manager Pete Rose. By the time the afternoon was over, however, all anybody wanted to talk about was Dr. K.
Gooden threw a complete-game shutout, allowing only four measly singles (including one by Rose, the 4,104th of his career). He walked two and struck out ten. His ERA, which stood at 4.50 at the start of the game, shrank to 1.80. It never went above 2.00 the rest of the season. Doc Gooden was the best pitcher on the planet in the summer of ’85. The numbers certainly back up such an assessment. His 24 victories (including 14 in a row), 268 strikeouts, and microscopic 1.53 ERA all led the major leagues. The latter figure was the second-lowest (post Deadball Era) behind Bob Gibson’s 1.12 mark in 1968. His 276 innings pitched and 16 complete games led the Senior Circuit. Sabermetrics have clearly shown that Gooden’s 1985 season was indeed one of the best in history. His WHIP of 0.965 was second in the NL that year only to the Cardinals’ John Tudor. Using the Wins Above Replacement formula developed by BaseballProjection.com’s Sean Smith, Gooden topped all of baseball in 1985 with a WAR of 13.2. Since 1900, only two players have had higher figures. Deadball pitcher Walter Johnson’s was 16 in 1913, and 14.6 in 1912. Babe Ruth’s was 14.1 in 1923. If we use Smith’s formula for WAR for Pitchers, Gooden’s figure is 12.2. Since the dawn of the 20th Century, only Walter Johnson (14.6 in 1913 and 13.5 in 1912) and Cy Young (12.6 in 1901) have topped it. Gooden was 11-1 in the second half in 1985, and despite his young age and all the innings he’d pitched, he grew stronger once the calendar flipped to September. That month, he gave up only two earned runs in 53 innings (that’s an ERA of 0.34). 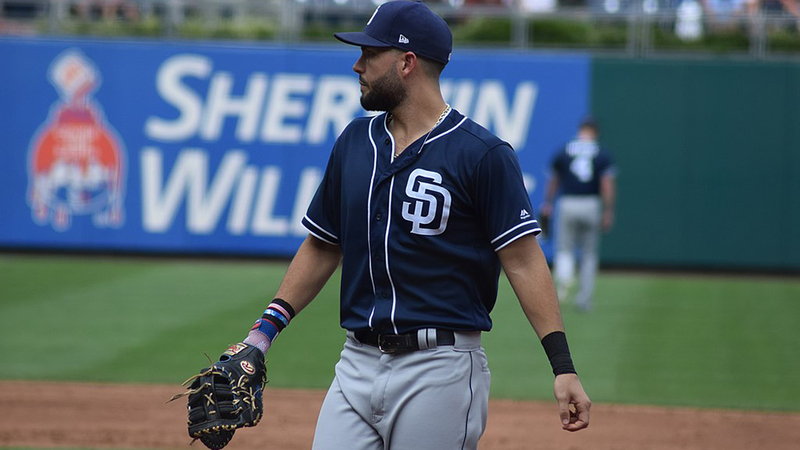 He won four of his six starts, but would have gone 6-0 with any kind of support, because he had consecutive no-decisions in which he was pulled after nine innings with the game scoreless (In Gooden’s four losses on the year, the Mets scored a total of five runs.). It was a dominating display of pitching. He felt like he could throw the ball by anyone. He’d just keep pounding the strike zone with fastball after fastball, challenging the hitter to make contact. To Gooden, it seemed like every batter was behind in the count, 0-2. By season’s end, people were predicting that Dr. K was going to be the greatest pitcher ever, if he wasn’t already. The kid was the toast of New York City. Of course, Gooden never became baseball’s next 30-game winner. And besides, he didn’t want to even think about that. He just wanted to play baseball. His 1985 season brought enormous expectations that any pitcher would find tough to live up to, but Gooden especially so. It seemed his best was just never enough. The pressure only heightened his insecurities. Some of the joy was taken out of the game. He would ask himself how the bar had gotten set so high. And who had set it? Certainly not Gooden himself. But the media had anointed the shy kid, for better or worse. To compound the problem, Gooden was suddenly flush with cash. After making $40,000 in his rookie season in 1984, and $450,000 in 85, his salary spiked to $1.3 million. Endorsement money was coming in faster than he could count it. Polaroid. Kellogg’s Corn Flakes. Sports Illustrated. Spalding. Toys “R” Us. Nike. Oh, to be young and a Met (and a millionaire) in the drug-fueled ’80s. Dr. K had money to burn, and plenty of hangers-on happy to help him spend it. As the 1986 season progressed, Gooden noticed that his fastball, which had been consistently in the mid-90s, had lost just a bit of its zip. “That impossible-to-track, impossible-to-time movement deserted me in 1986, and never returned,” he said. Gooden’s ratio of strikeouts per nine innings suggests he was right. In 1984, it was a major-league leading 11.4. In 1985, it had slipped to 8.7. By 1986, it was 7.2. Was it a result of overwork? Had he thrown too many innings at too young an age? Booze eventually progressed to heavy cocaine use. “It was love at first sniff,” Gooden remembered. The rest of the story is not unfamiliar. What had been such a promising career was derailed by demons and addiction. He was also hampered by shoulder problems. Thirty victories? Gooden never even had another 20-win season after 1985, although he did win 18 in 1988 and 19 two years after that. He was a very good pitcher fortunate enough to play for 16 years and win 194 games in the big leagues (100 of them coming before the age of 25). But Dr. K was never the same after 1985. The electrifying stuff that had allowed him to toy with batters was a thing of the past. It was the first week of September, 2012. Stephen Strasburg of the Washington Nationals had just been told by his manager that the team was shutting him down for the remainder of the year. The club was a lock for the postseason, but Strasburg was not going to throw another pitch in 2012. Winning was something the 24-year-old Strasburg had done 15 times in 2012. But because he was returning from Tommy John surgery in 2010, the Nationals had committed to easing him back slowly. He had a once-in-a-generation arm, and Washington didn’t want to risk further damage to its investment. After 28 starts, and 159 innings, Strasburg was done for 2012, postseason or no postseason. Strasburg’s manager was none other than Davey Johnson, Dwight Gooden’s former Met skipper. It had been a long, long, winding road for Johnson since the glory days of the ‘80’s at Shea Stadium. He’d since managed the Reds, the Orioles and the Dodgers. He was now pushing 70 in his second season in the nation’s capital. In making his decision, was Johnson harboring thoughts of a young Dwight Gooden? At the time, Steven Strasburg was the poster child for the modern, protected (some would say pampered) young pitcher. Pitch counts and innings-pitched limits had become part and parcel of baseball’s brave new world, even for hurlers who’d never had surgery. Today, throw 150 innings in a season before age 25 and you are accused of recklessly stretching the limits of what the human arm is capable of. Some say this way of thinking makes modern medical sense. Others cast a critical eye at the way the sport has changed, maintaining that young arms are best strengthened by three things: Throwing, throwing, and throwing. Back in 1985, even young pitchers were expected to throw until their arm fell off. And while it is difficult to assess, 30 years later, whether Dwight Gooden’s high work load contributed in some measure to the disappearance of his blazing fastball, the possibility exists. Was Dwight Gooden’s 1985 season the greatest ever by a pitcher? The fact that he was 20 years old, performing in the fishbowl that is New York City, made it even more extraordinary. His shoulder problems, in addition to his battles with addiction, detoured Dr. K on his way to the Hall of Fame. But 30 years ago he was truly something special to behold. And he put up numbers that, given today’s philosophy on how to handle young starting pitchers, we are not likely to see again. Scott Ferkovich edited Tigers by the Tale: Great Games at Michigan & Trumbull, published by the Society for American Baseball Research. He is the author of Motor City Champs: Mickey Cochrane and the 1934-35 Detroit Tigers, coming in 2017 from McFarland. Follow him on Twitter @Scott_Ferkovich. Great article. I remember his run as if it was yesterday. I always considered him Sandy Koufax in reverse order. Great start followed by a mediocre finish. Makes you wonder if Koufax had run his best years from 1958 through 1961 and then gone out with a string of so so years, would he have been in the HOF? I don’t think so. Koufax’s situation was unique. You can pretty much trace his trajectory from OK to good to great to unbelievable by his progression from bandbox Ebbets Field to the weird Coliseum to the Pitcher’s Best Friend, plus the strike zone expansion in IIRC 1963. That’s not to say Koufax wasn’t great. A bunch of other pitchers got to pitch under the same conditions (the Astrodome for instance) and didn’t do what Koufax did, until Gibson did. i lived in norfolk as a navy dependent when dwight came up for the playoffs, and followed him on the local tv affiliate whenever one of his starts was televised over the next couple of years. was he the best pitcher on the planet his first two seasons? oh yes, by a good damn margin, too….he was just….amazing. One game I remember well from that year. May 10. Gooden vs Steve Carlton. He also got 2 singles as a batter. All in front of almost 50,000 fans. Electric. As an 11 year old watching that season it was monumental for me. Pretty much as formative as any baseball experience could be. When Topps decided to start putting Doc Gooden on his baseball cards it was another impactful event. I was too young to be burdened by the cocaine scandal at the time. Thanks for letting me relive it a bit. This just shows how hard it is to make the Hall of Fame. In 84-85, Gooden was probably one of the best pitchers in the history of baseball. Of course, his “decline” was not entirely baseball-related, but it’s awfully hard to be great for 15 years. The 1985 Mets were my favorite Mets team (even to this day), and Doc was literally untouchable.